This special value pack of Air Optix Aqua lenses contains two boxes of three lenses each. The lenses have a high oxygen permeability, which allows for occasional overnight or extended wear. 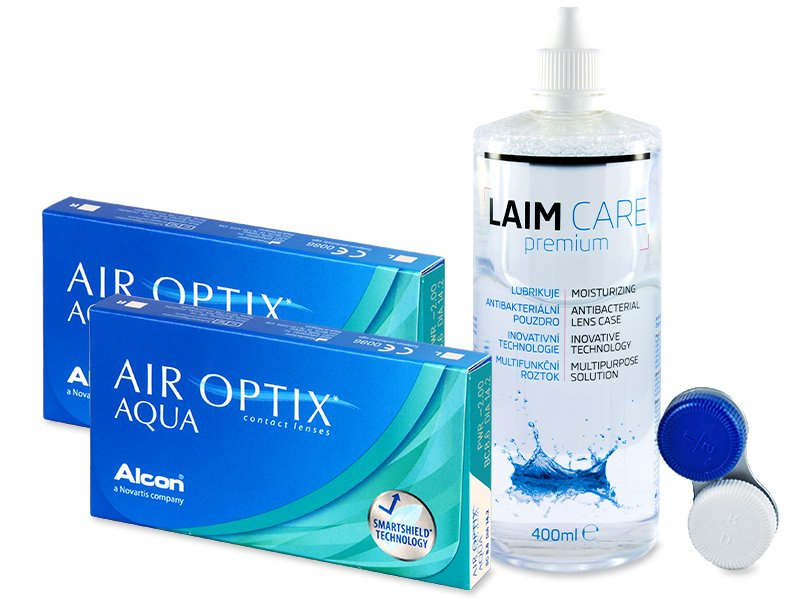 The package also contains Laim-Care solution and an antibacterial lens case. Air Optix Aqua contact lenses are produced by Alcon and have a monthly replacement schedule. 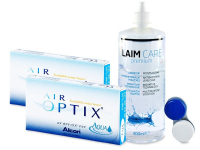 The silicone-hydrogel material of Air Optix Aqua allows exceptional breathability, meaning the lenses are approved for occasional overnight wear (if also approved by your optician). Each box contains three lenses.